Traveling has become somewhat contagious with certain individuals, no matter the destination; certain spots have become very popular. However, traveling may provide a euphoric and exciting sense of adventure; oppose to all the good, it still comes with its own struggles, which is why mobile apps have become very popular with our travellers. Here are the best apps to make your travels more beneficial. 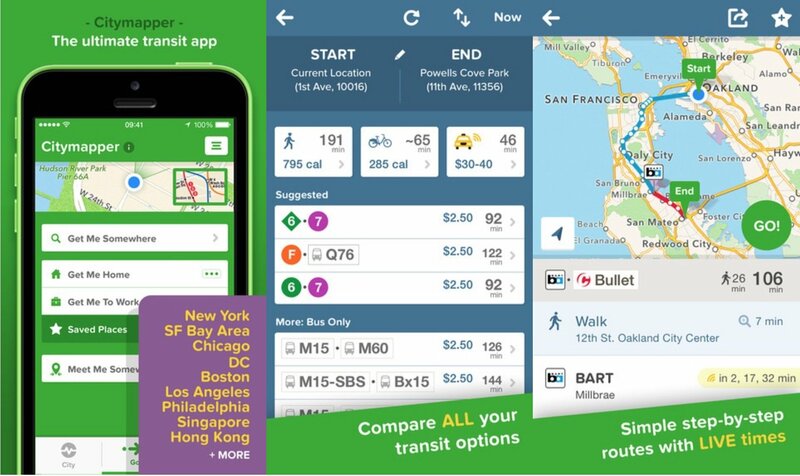 You’ll never get lost with Citymapper- a comprehensive, easy to use app which offers a detailed journey planner that is superior to most planners out there. It includes real-time departures, in addition to disruptions or delays. It is available around 30 cities worldwide, so wherever you are, you’ll never feel out of the loop with this app. You go to bar to order some food and a few drinks however; you come across a barman who can’t speak your native language. This could certainly cause problems, but if you have the Duolingo app, these problems will cease to exist. Duolingo is a free and incredibly well-designed language app. It won’t get you speaking fluent Spanish in quick succession, but it is a fun way to learn the basics and keep you reminded with the grammar and vocabulary. So, if you were to order that drink and meal, you can do it in your best accent. This free app acts like your own personal travel guide. Pulling together all sorts of travel information such as confirmed flights, hotels, rental cars, event booking and converts. It’s the itinerary you’ll need if you want a well organised trip. It’s especially useful if you are planning to visit America. Due to the country being so large, having an organised itinerary can be very useful to allow a stress-free journey. If you are planning to visit the United States, make sure you get your US visa with Esta-visa which is an easy 3 step online application. This is probably one of the most useful apps on the list. Finding accommodation is a very important aspect when traveling and it also can be a difficult and expensive one too. Yet, with Airbnb you should face no problem what so ever as there will always be somewhere for you to stay. Another positive about this app is the reviews on each available room. This allows you to see if customers have been having a pleasant stay or not. With all this, most places that are advertised on this app are affordable and safe- which are two of the most important factors when it comes to traveling. This is quite a unique app which gives you the heads-up for whether your day trip is going to turn into a rainy mess or a summer’s burn. The app works in the USA, the UK and Ireland; it presents to you an animated map of the clouds and temperatures giving you the heads up if the destination you are heading in will bucket it down, so with this app you may have a chance of beating the rain and keeping dry.